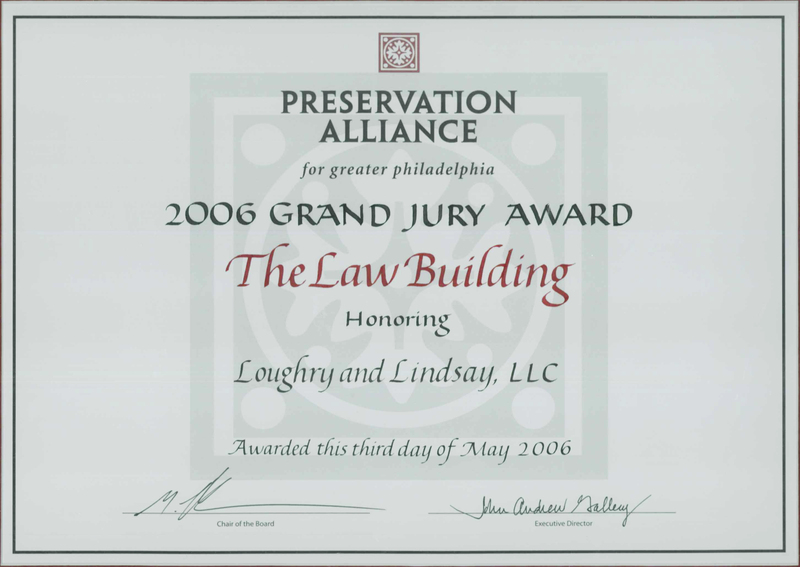 Loughry and Lindsay, LLC is housed in the Camden Law Building, formerly the AS Woodroof Law Building, at 330 Market St., Camden, New Jersey. 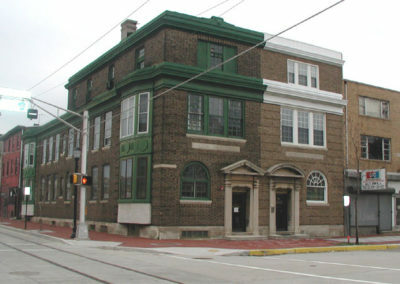 The partners chose this site due to their commitment to participation in the economic and cultural revival of the City of Camden; their interest in locating their firm in a building that is close to federal, state and municipal courts and easily assessable by both public transportation and automobile; and their dedication to historic preservation. 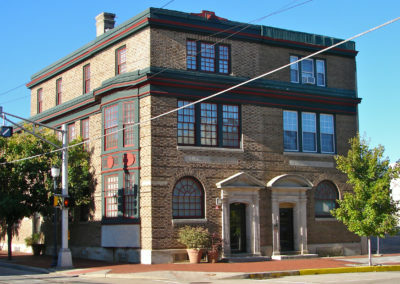 The A.S. Woodruff Law Building, which has always been inhabited by lawyers, is a prominent local landmark that was added to the National Register of Historic Places in 1990. 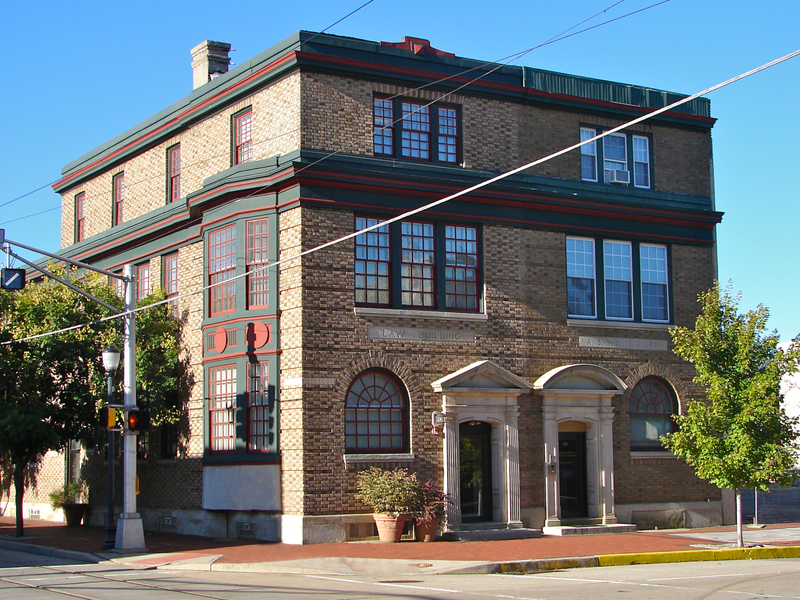 It was built in 1920 and features Colonial Revival-style elements. 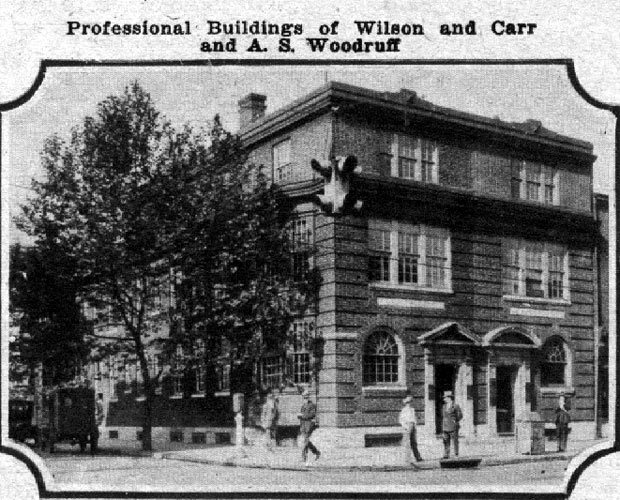 The building is notable because famous local politician A.S. Woodruff had his offices here. 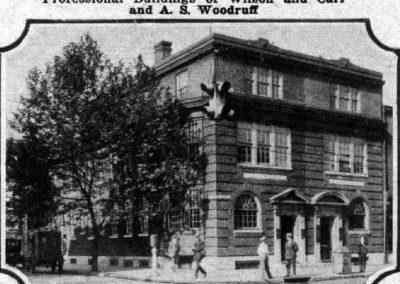 Woodruff was a senator and later served as vice-chancellor for Camden County. 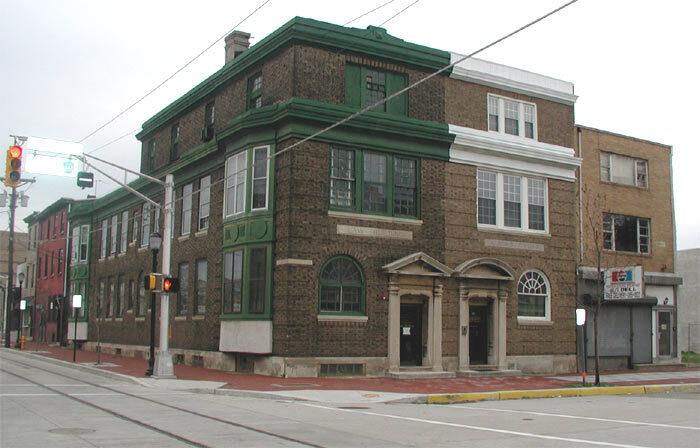 The building was originally built as a twin with both buildings adjoining on the second floor. 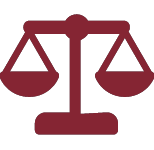 Historically, Judge Woodruff rented the individual offices in the “Law Building” on a permanent or temporary basis to other private attorneys. At some point the buildings were legally separated and the opening between the two was sealed. 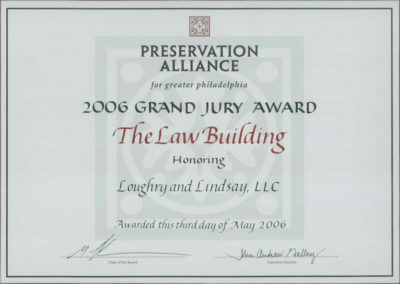 When Loughry and Lindsay, LLC moved into the law building side of the A.S. Woodruff Law Building (now the Camden Law Building), the firm took an underutilized building in Camden and used private financing combined with a federal investment tax credit to produce a simple and powerful example of the vitality and rebirth of Camden’s Market Street Historic District. 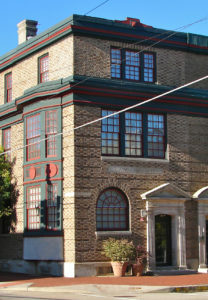 The project included exterior repointing, sensitive adaptation of interior spaces incorporating special consideration for Americans with disabilities, retention of trim and window molding, new electrical, heating and cooling systems, and the restoration of thirty-eight out of forty-four double hung multi-paned windows, including the arched window on the building’s facade. Exterior alterations included a sensitively designed new side entrance to accommodate handicapped access to all public spaces.